Print this crossword and use it as a giveaway for your kids Halloween party or give it to the guests as a timed event to win prizes. They will enhance their vocabulary skills without even realizing because the clues and answers are so much fun. This Halloween themed crossword features words that all have something to do with Halloween objects and traditions. The fancy little witch picture watching the crossword puzzle fits well into any Halloween party decor. 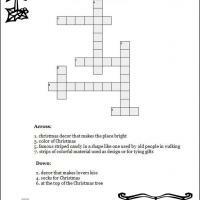 These free printable crossword puzzles are easy to download and print right at home on any color paper you have. Kids will love them. When Halloween falls on a weekday, many teachers look for a holiday themed project to combine fun and learning into one lesson. These free printable Halloween Crosswords are just the ticket needed for a fun and productive classroom activity. There are approximately 30 clues down and across that all have Halloween related answers. Ample space to enter the letters is provided. A cute and colorful picture of a witch is watching over the puzzle. Your students will enjoy searching out the clues and answers as well as enriching their vocabulary and spelling skills. Print some today for your ghoulies to enjoy. Kids and puzzles are a natural match. Kids and Halloween is a natural match too. So why not combine both and have some extra fun this Halloween. Print these free printable Halloween Crosswords at home and pass them to your kids when a sit down activity is needed especially good, if you need to get dinner ready before going trick or treat. The kids will love the nearly 30 down and across Halloween themed clues for answers in Halloween style. 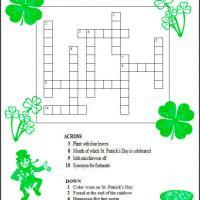 The cute witch picture is an added whimsical touch to the free printable crossword puzzle. These are easy to download and print so, try some today.